First pattern in my Twisted Treasures line. I really enjoyed playing with this stitch to get just the right look that I wanted to it. 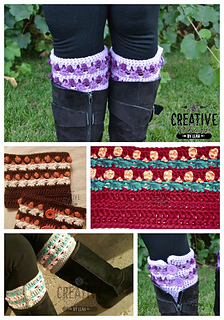 Rewriting, reselling, distributing, or copying this pattern is prohibited. If you wish to sell finished items produced from this pattern, feel free to do so. However, please do not claim the pattern as your own.